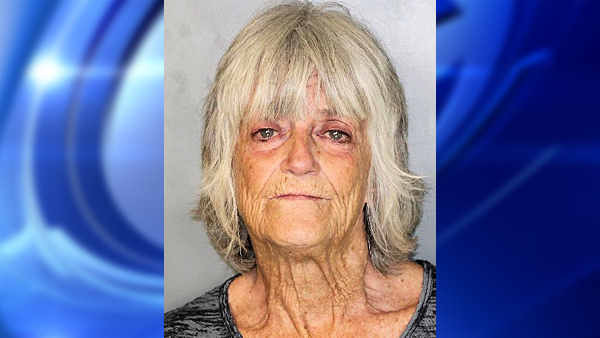 ISLIP (WABC) -- A 67-year-old Islip woman was arrested after police say she was driving drunk with a loaded handgun in her car. Just after 10:30 p.m. Monday, a Farmingdale trooper was dispatched to a report of an erratic tan pick-up truck on the eastbound side of the Southern State Parkway near exit 31. Police say the officer located the vehicle east of exit 33 and observed the vehicle fail to stay in the lanes of travel and also drive onto the shoulder and back onto the roadway. After stopping the vehicle, the trooper noticed a strong odor of alcohol and observed that the driver, Susan Vassilev-Gugliotta, had bloodshot watery eyes. Authorities say she failed sobriety tests and was subsequently arrested for DWI. During the sobriety tests, Vassilev-Gugliotti reportedly kept attempting to walk back to her passenger side door. but her efforts were stopped. After placing her under arrest, the officer immediately located a loaded handgun inside of her vehicle. She produced a positive breath sample of .21, more than double the legal limit. She is charged with criminal possession of weapon, DWI and traffic violations.